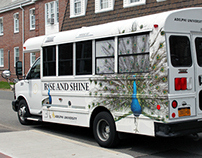 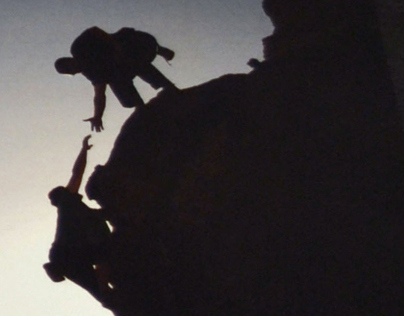 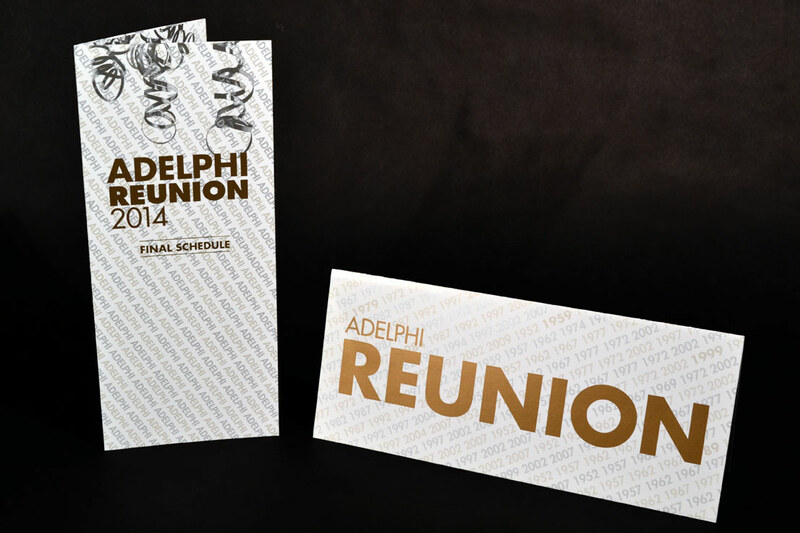 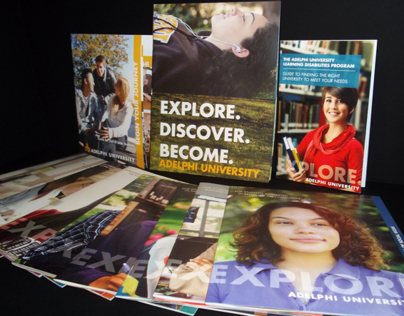 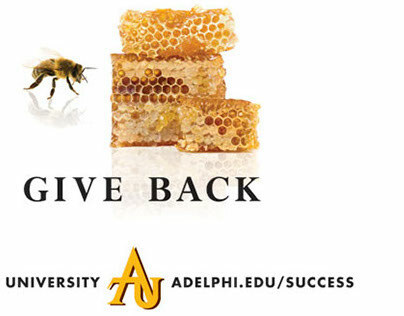 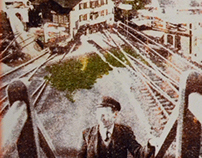 The Alumni office at Adelphi University holds a variety of annual events from phonathons to reunions. 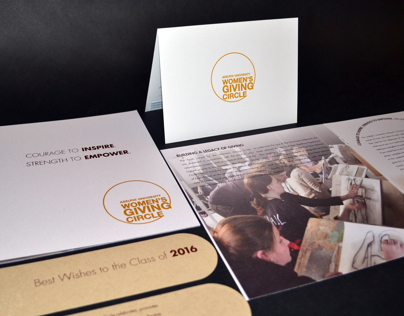 The following pieces are used as part of their 2015 giving campaign, mailed to alumni, which continue to increase contributions. 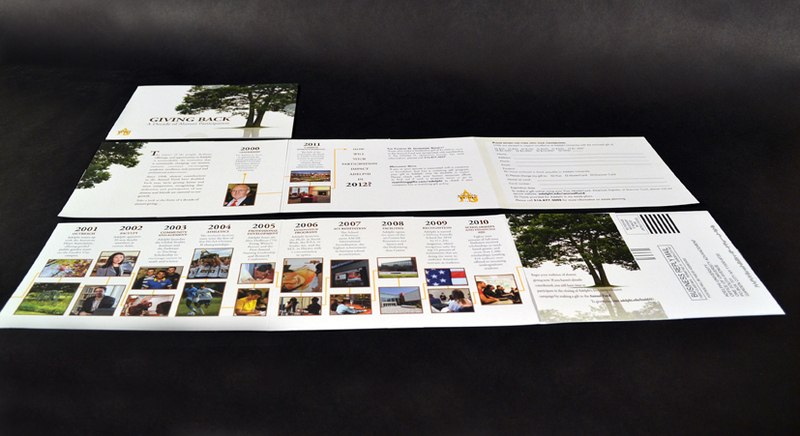 Using the concept of a timeline for this GIVING BACK solicitation piece, allowed me to organize the information visually to feature past alumni contributions and how those funds were utilized on campus. 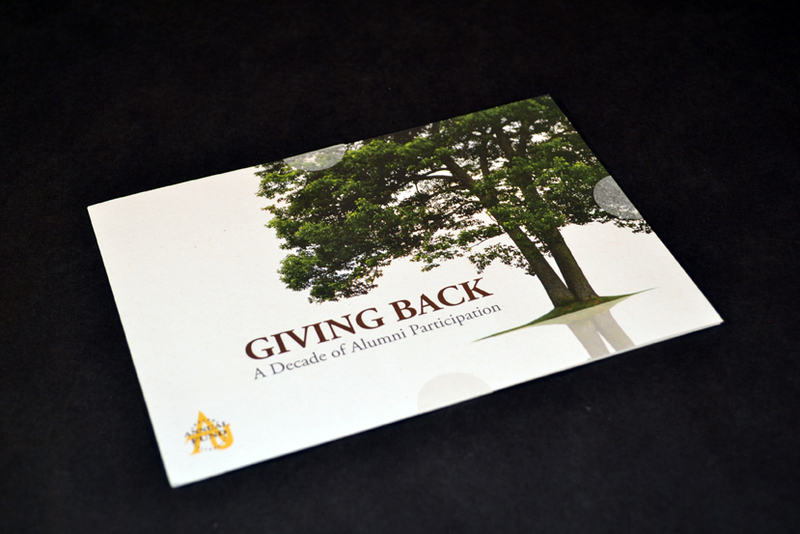 This reunion series is a split mailing addressing new and existing alumni with events specifically designed for each group. 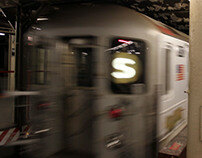 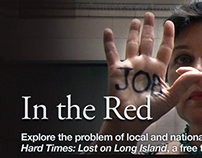 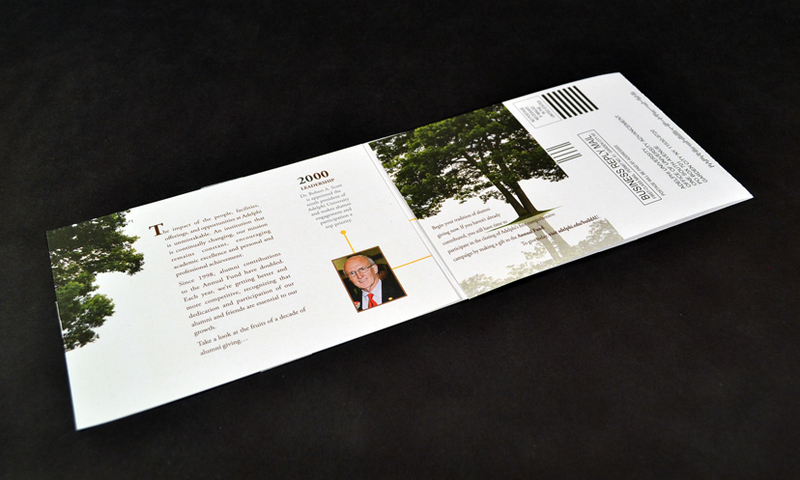 In order to increase awareness the client requested a piece that woud act more like a brochure of the weekend events. 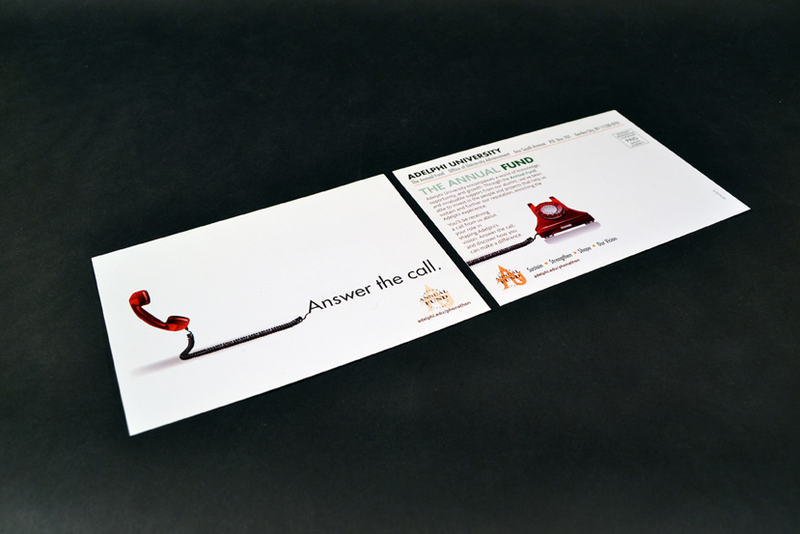 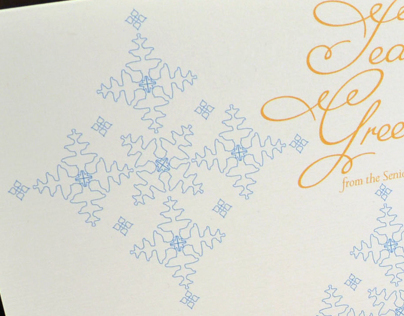 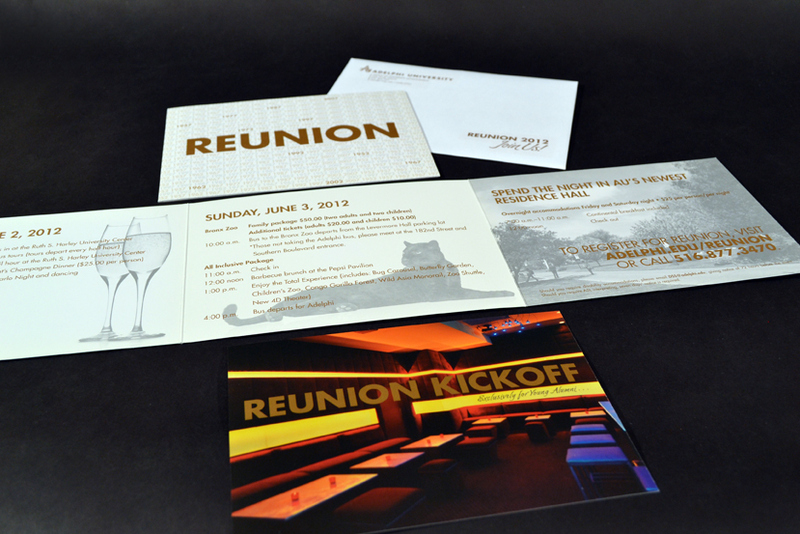 The word REUNION (KICKOFF) is metallic gold with a spot uv on a smooth matte stock for each piece except the envelope, where a standard house stock was used. 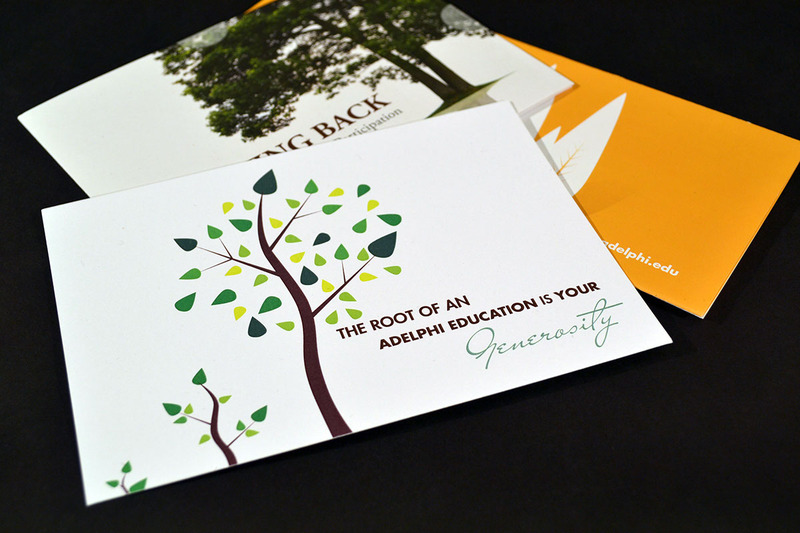 Direct mail piece soliciting alumni during the universities annual fund drive increased revenue with this visually direct design approach.